Tar-Palantir dies with his daughter Miriel by his side. Pharazon, Amandil and the other lords decide what to do with the kingship. Pharazon, with the support of the people, seizes the thrones and takes Miriel as wife against her will. 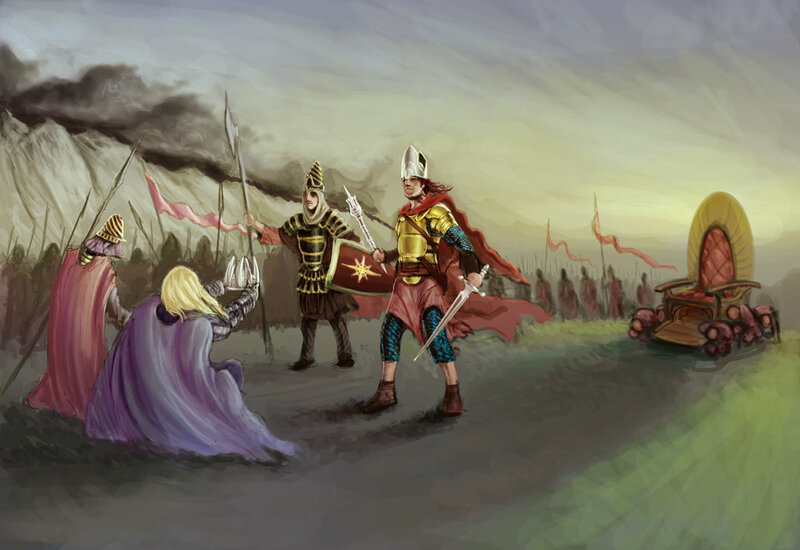 Amandil and Elendil attempt to stop this, but are overruled by the majority. They return to their lands of Romenna. Pharazon bans all elven visitors to Numenor. The last elves on Numenor bring word of Sauron’s doings and leave Romenna with Amandil’s messages to Gil-Galad. 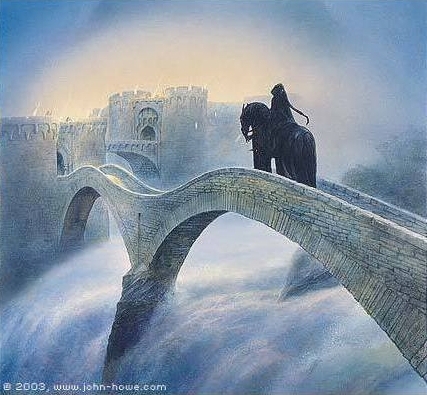 The Nazgul attack the Numenoreans settlements in Middle-Earth. Elendil tells Ar-Pharazon of Sauron’s proclamation. Ar-Pharazon declares war on Sauron, ready to take the title of ‘King of Men’ for his own. Ar-Pharazon’s navy sets sail towards Middle-Earth. The Faithful remain behind. Elendil continues to tend to the failing White Tree. Ar-Pharazon’s great fleet lands at Umbar. The men and orcs there flee. Sauron witnesses the host marching to the Black Gate. Even his greatest servants desert him. Heralds arrive at Barad-Dur to call Sauron to Ar-Pharazon. Sauron submits before Ar-Pharazon, swearing fealty to him. Ar-Pharazon takes Sauron back to Numenor as a hostage. Sauron feigns dismay, but is secretly glad. Mairon the Admirable – ?